Friday night was a baking marathon. After a week of birthdays and J-term festivities, I really needed a night where I didn’t have to leave my apartment. Lucky for me, I have friends that felt the same, and were willing to trek to my apartment for a quieter night in. I think we were in the kitchen for 4 straight hours, ending up with three different products, all of which will be featured soon. However, in honor of the fact that it’s football playoff season and the Patriots beat the Chiefs, I’m starting with cookie dough footballs. 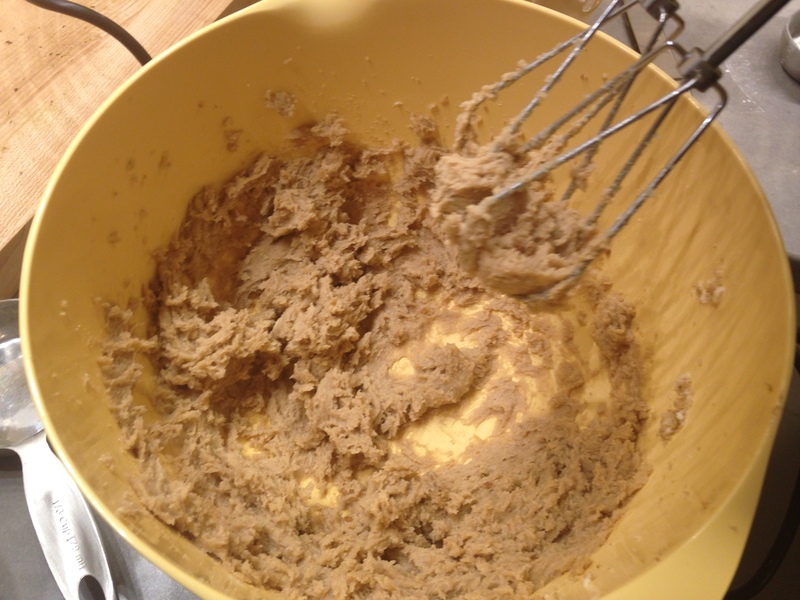 Bonus: even if you aren’t a football person, you are probably a cookie dough person, and that is the shining star of this recipe – the eggless cookie dough. 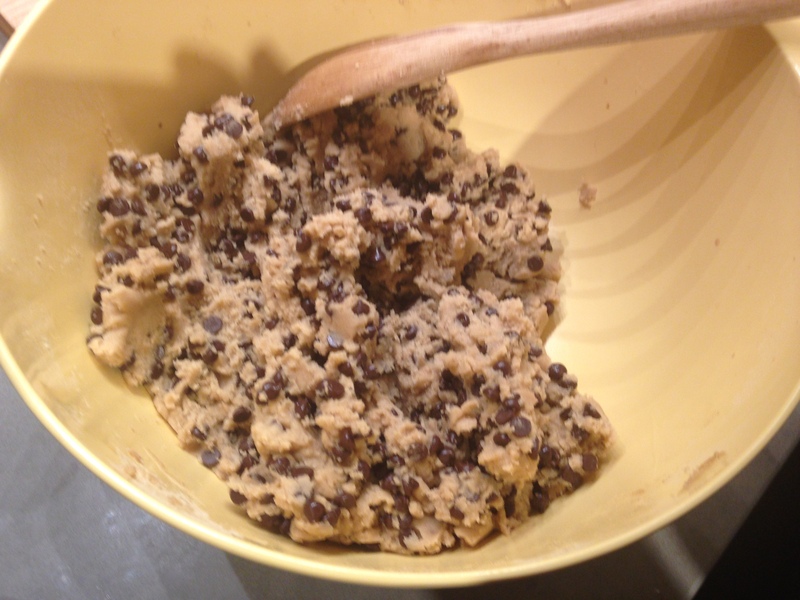 Because let’s face it – we all eat the cookie dough anyways. Even though our mothers told us it would make us sick and we would get Salmonella and die. Without the raw eggs, the guilt is gone! 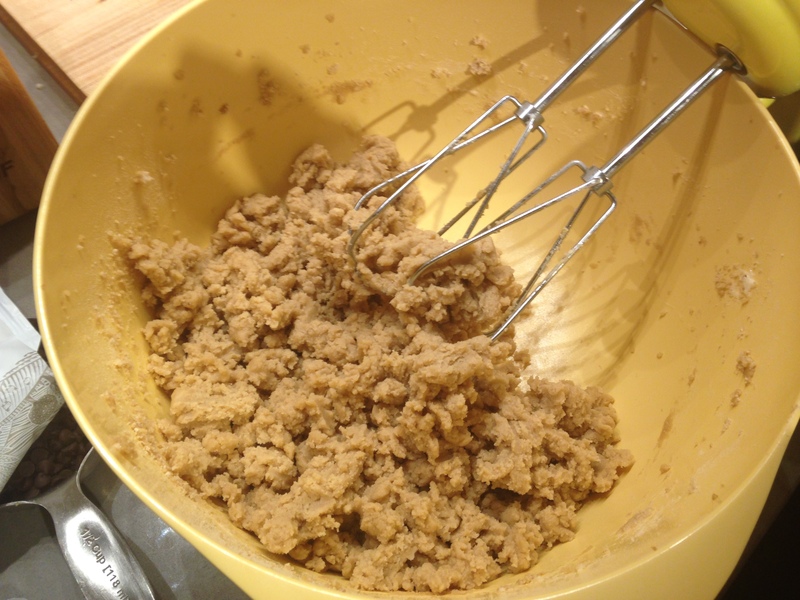 First, cream together the butter, sugar, light brown sugar, and dark brown sugar using a hand mixer until smooth. Here is Neha demonstrating perfect technique: Then, add the vanilla extract and beat to combine. Next, beat in the flour. 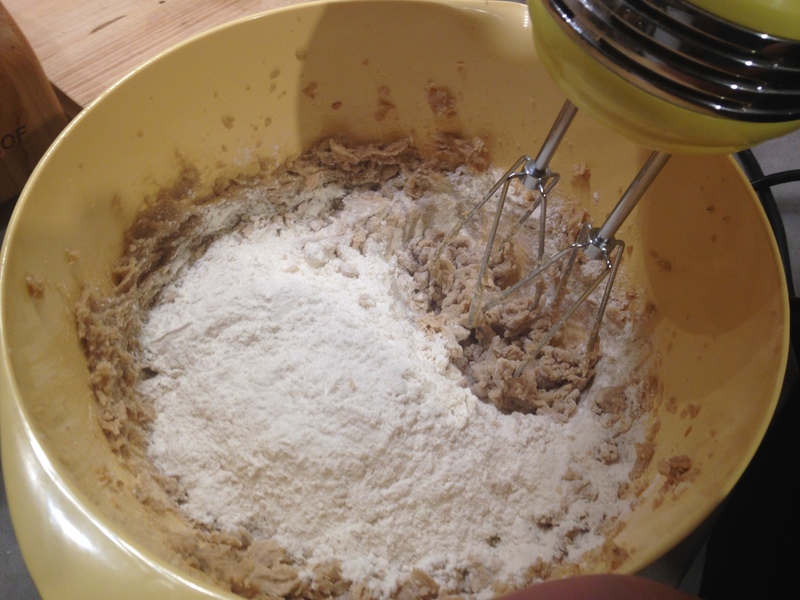 It will be really crumbly – add a couple tablespoons of water to help it come together. Stir in the chocolate chips with a wooden spoon. Shape the dough into footballs and place on a baking sheet lined with parchment paper. Refrigerate for at least 30 minutes. 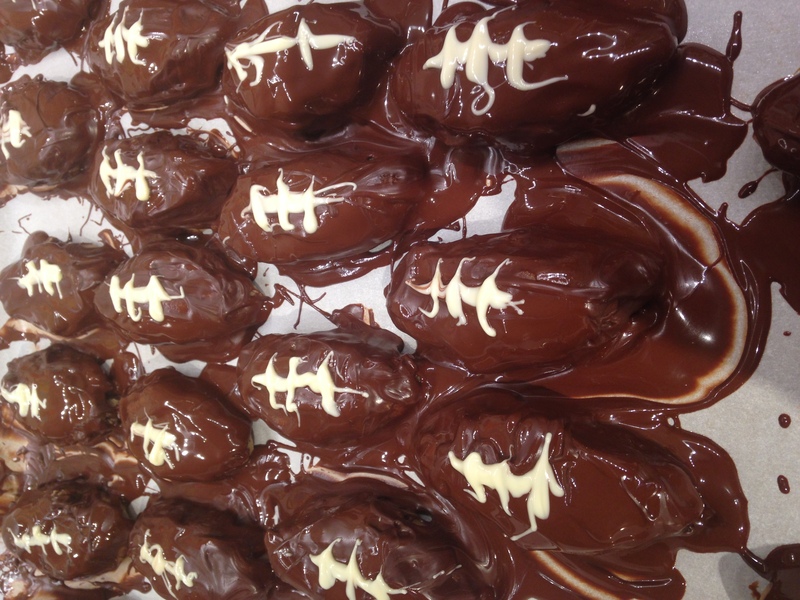 Melt the chocolate and cover each football. This was the last recipe I made, so I lazily just spooned the chocolate over the top, but if you want your footballs to actually look nice, you should probably use a more careful dip-and-spoon strategy. Melt the white chocolate and use either a toothpick (lazy method) or piping bag (pro method) to add the laces. Put the cookie sheet back in the fridge until the footballs harden. Remove from the parchment paper and store in an airtight container in the refrigerator. Also, it should go without saying that these work for any event and can be made non-football shaped as well. But just in case you like to follow my recipes to the T, I figured I’d mention it anyways. 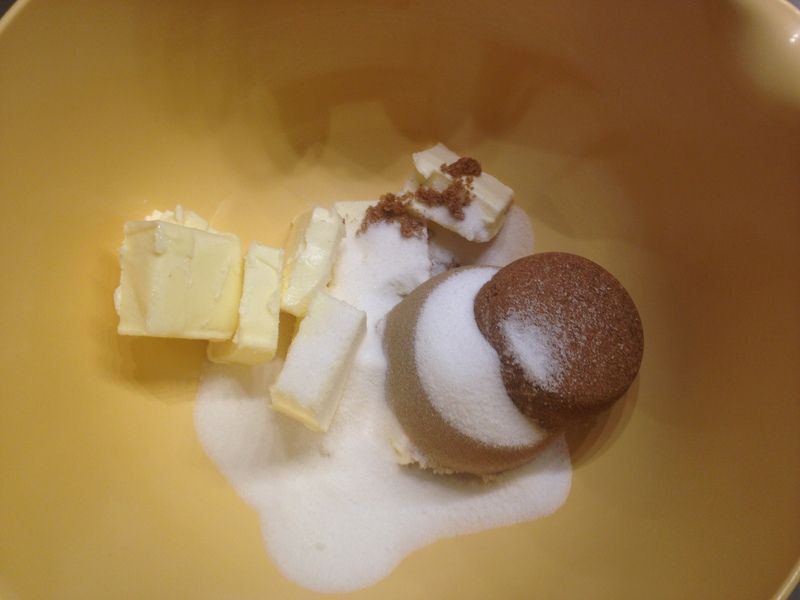 Cream together the butter, dark brown sugar, light brown sugar, and granulated sugar until smooth using a hand mixer on medium speed. Beat in the flour on low speed. 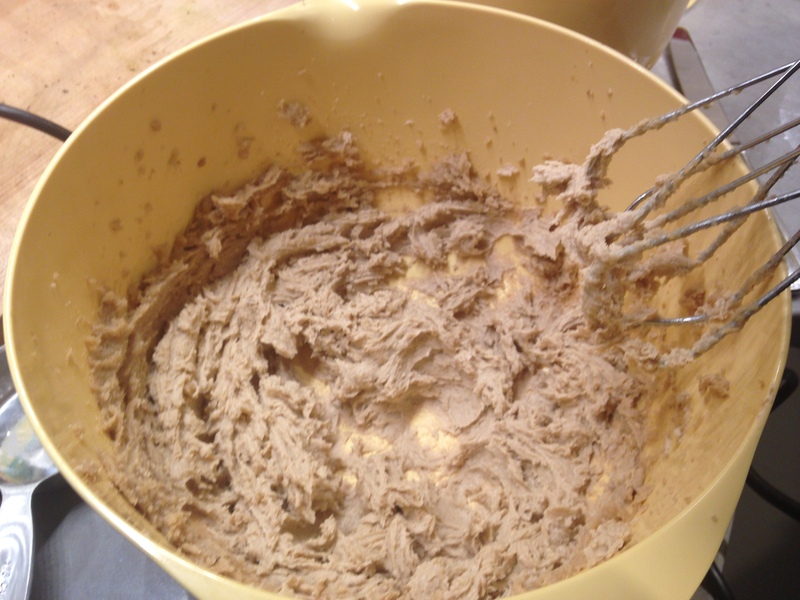 Add 1 to 3 tablespoons of water as needed until dough comes together. Shape dough into footballs and place on a baking sheet lined with parchment paper. Refrigerate for 30 minutes. 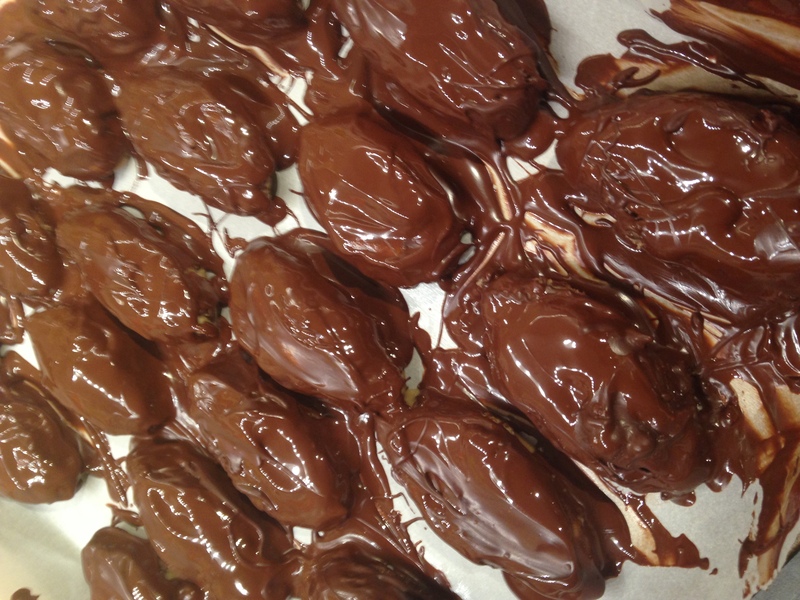 Melt dark chocolate and spoon over each football, covering completely. Melt white chocolate and use a toothpick to draw laces on each football. Refrigerate until hardened, then remove from parchment paper and place in airtight container, stored in the refrigerator.